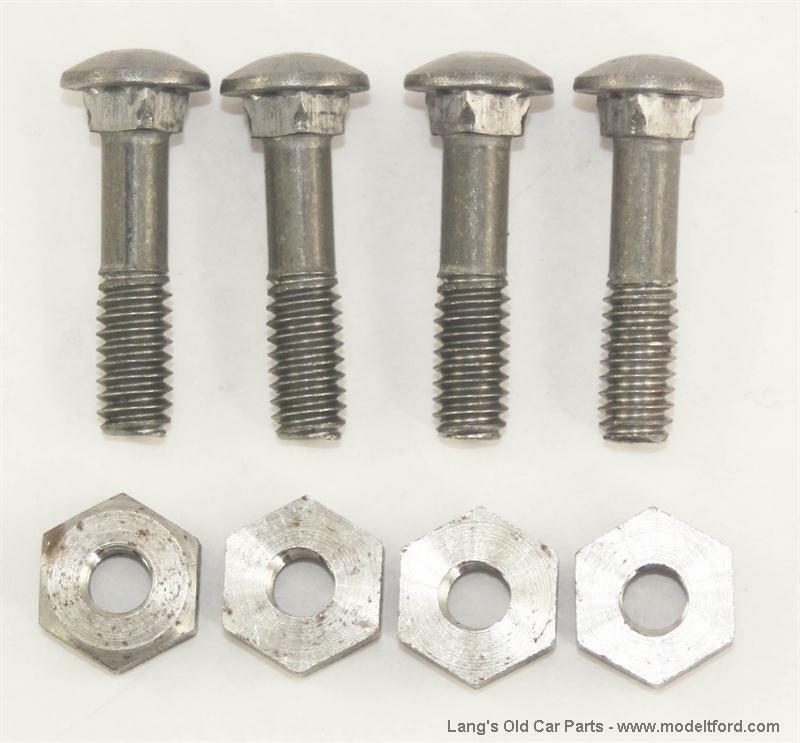 Metal coil box mounting bolt and nut set for 1922-1923 cars with wood firewalls. Correct shape bolt heads and thick nuts. 8 pieces.